Lay faithful across the Archdiocese now have the opportunity to explore Pope Francis’s latest encyclical Laudato Si’ – On Care for Our Common Home – through an exciting series of events. The first of these events was last weekend launched at the Redemptorist Monastery Church inorth Perth. 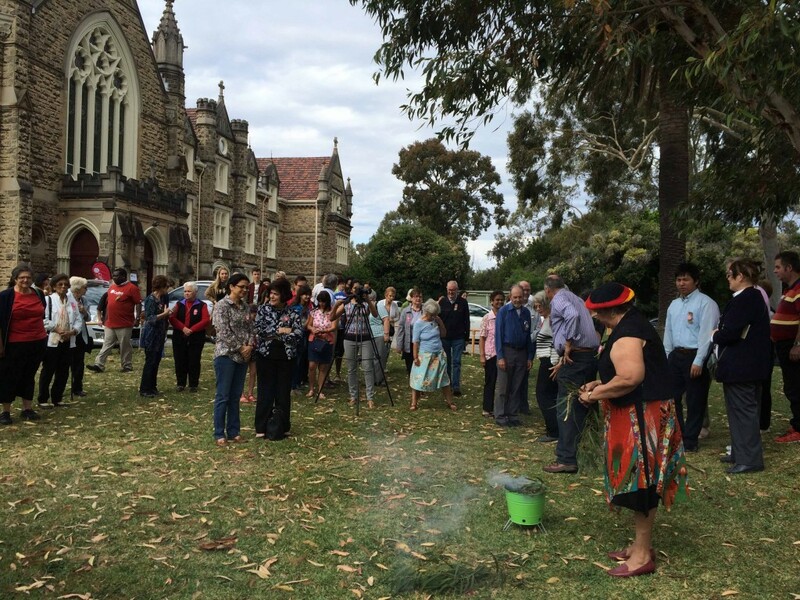 Beginning with a smoking ceremony and Welcome to Country facilitated by Noongar Elder ‘Aunty’ Marie Taylor, the launch featured a presentation by Melbourne-based Redemptorist priest Dr Bruce Duncan, a lecturer at the Yarra Theological Union where he coordinates the social justice studies program. In his address for the occasion, Fr Duncan commented that the release of Laudato Si’ presented a ‘golden moment’ for the whole human family. Fr Duncan emphasised the urgent need for everyone to respond to the challenges presented in Laudato Si’, taking as their model Pope Francis’ own action and leadership on the issue of care for the environment. While the extent of environmental degradation and the challenges before us can be overwhelming, Fr Duncan insisted that we can take full confidence in knowing that ‘God is on our side’.